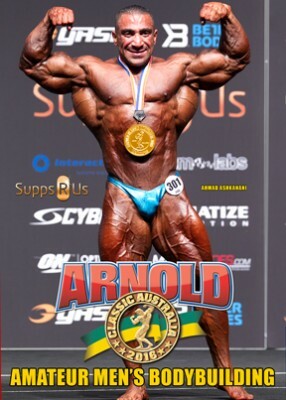 The Men’s DVD presents all of the Bodybuilding Classes of the 2016 ARNOLD AUSTRALIA MEN’S AMATEUR. See all of the lineups, key comparisons, callouts and all awards, plus the OVERALL AWARDS presented by Arnold, plus the awarding of Pro Cards. The ARNOLD MODEL SEARCH AUSTRALIA – Male Models was won by John Driscoll of Australia.